Chickenpox is an acute infectious disease caused by a herpes virus. The disease is more frequent between children up to 10 years. A child usually produces lifelong immunity after being affected by this disease once in his/her lifetime. One of the acute viral diseases is chickenpox. It is incredibly contagious, transmitted by droplet infection and is characterized by rashes and fever. The disease is caused by varicella-zoster virus, which belongs to the family of herpes and is transmitted by airborne droplets and through household items. One way to protect your children from this disease is vaccination. Chickenpox is a very dangerous disease, because the virus can mutate and lead to a malignant course of the disease and complications. If you find a rash on the skin, you should immediately call the local doctor and try to avoid any contact with other person because the disease is contagious. To prevent chickenpox, vaccine for all children is designed for 12 months. The next vaccination is carried out in 3-4 months after the specified period. 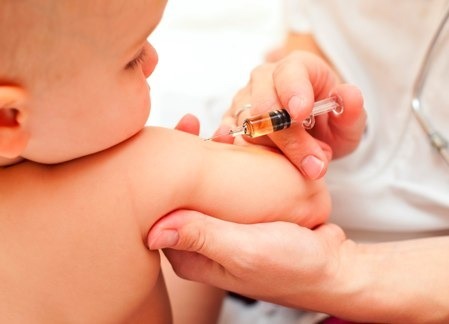 After taking the entire course, the vaccine develops strong immunity for the next 4-6 year. However, it largely depends on the type of vaccine. The vaccination result does not guarantee the prevention in rare cases. However, the vaccination may stop the disease to occur in a mild form. Currently, modern designed vaccines are provided by different manufacturers. The modern vaccination of chickenpox helps in providing preventive measures to avoid measles, mumps, and rubella. Above all, good vaccination can protect a child from 4 dangerous viral diseases. Researchers have recently developed a vaccine for chickenpox. However, some believe that the benefits of the vaccine are questionable. They say that the vaccination cannot provide lifelong immunity. In childhood, chicken pox is easily tolerated but it often becomes very difficult to cope with this disease and can lead to various complications in adulthood. Therefore, many doctors recommend not to isolate the child from healthy patients, but rather to allow him to have chicken pox to protect him from the disease in adult life. Vaccinations should not only be provided to children only but also to the women who plan to have children and have never had chickenpox, as well as those suffering from severe chronic diseases. Chickenpox is very dangerous during pregnancy because this can lead to miscarriage, abortion or birth defects a child. So you need to see a doctor and get proper direction for determination of antibodies in blood. What Triggers Asthma in Your Child?